I hope I’m not too late putting this out there but as we all know for the last two days, Hawaii has been plagued with a killer Hurricane they’ve named Lane. I never really knew much about the Island folklore prior to meeting a friend coincidentally named Moana. She had her name long before the movie came out, and she explained very little about the legends of the island she was so desperately trying to get back to. Her minimalist explanations of the code words she was seeming to use on social media caused me to take up interest in the islands she spoke so majestically of and of course, I set out on a quest to learn more. Much like the Roman and Greek Gods, the Hawaiian Gods have all come from cautionary tales of how humans can or cannot exist on earth. 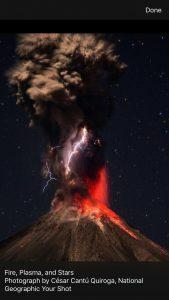 A couple of months ago there was spectacular volcanic activity at Mt. Kilauea as the volcano began to “awaken” as the island natives would describe it. 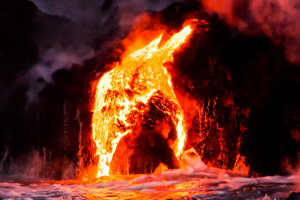 Honestly, it was some of the most beautiful volcanic activity I’d ever seen captured from flowing rivers of lave to multiple sightings of the Goddess Pele in the spewing lava and smoke. So, to continue the story of my beautiful friend Moana, I have to explain that she was on the run from a very volatile abusive relationship. With three small children in tow, I met her as she was trying to gather her resources to get back home to Hawaii. We stayed in touch for several years and then she had to disappear. Her ex-husband was going through extensive measures to find her, and her best defense was fall off the radar. I think of her often as I catch various news stories out of Hawaii, but none more than when I hear about sightings of Pele. This was one of her favorite stories because she truly believed in love. 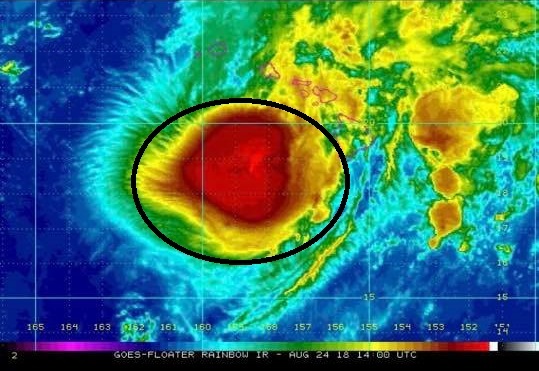 Over the past couple of days, the Hurricane that has been bearing down on Hawaii also was bearing her ex’s name. Ironic doesn’t even begin to explain it because it was another photo that a friend sent me yesterday that not only stopped me dead in my tracks but left me with chills for hours afterward. 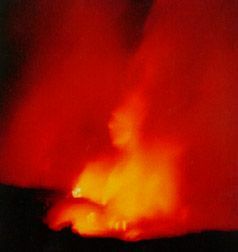 As many of you may know Pele is the Goddess of Fire, Lighting, and Wind. 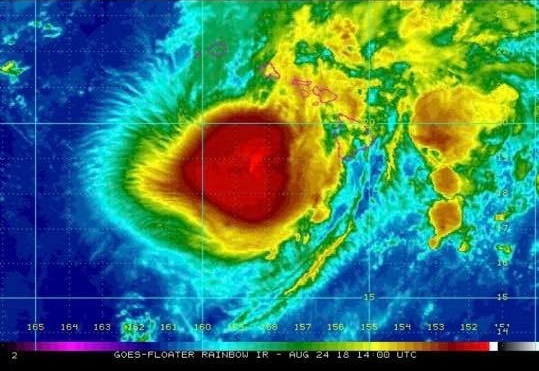 As Hurricane Lane approached it was a Cat 4, and while we still haven’t had time to assess the damage it caused to the island, from what I’m sure are scientific reasons, it weakened suddenly and was downgraded to tropical Storm within just a few hours. The downgrading started shortly after this photo was released by the NOAA. 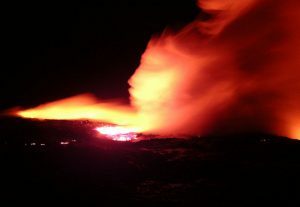 This dramatic interaction of the wind and rain, have also calmed down the Kilauea eruptions. CNBC likened it to “Two monsters passing in a closet”. Many residents believe that it is Pele protecting them, and I too take comfort in believing that it was Pele that lessened this storm possibly in the path of my dear friend. I’m not sure if she’s reached Hawaii yet, but I know that if she has, she is safe and protected. Just like Pele weakened the storm, she will keep her safe from her ex. Naturally, my digging wasn’t complete. Just because I couldn’t recreate the photo didn’t mean the photo didn’t exist. I couldn’t give it credit as authentic with photoshop being as petty it is these days. So, I googled the photo sent to me. Surprise!!! Only one authentic match from a local news source right out of Hawaii. No other photos like it on the internet meaning Mauiwatch Weather captured the only photo of it out there if there are no archives. 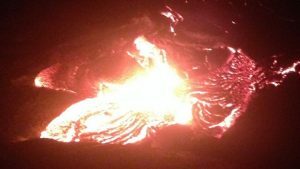 Thank You Mauiwatch for your excellent reporting and the authentic photo of the Goddess Pele.